Boatyard Cottage01263 715779work01603 870304fax Self-cateringThis attractive semi-detached cottage is situated in the lovely town of Wells. Only a short walk from the quay, eateries, pubs and shops, this property is perfectly positioned to get the most from the North Norfolk Coast. Comfortably furnished, this cottage is great for a holiday by the beach. 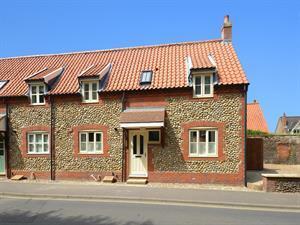 This attractive semi-detached cottage is situated in the lovely town of Wells. Only a short walk from the quay, eateries, pubs and shops, this property is perfectly positioned to get the most from the North Norfolk Coast. Comfortably furnished, this cottage is great for a holiday by the beach.